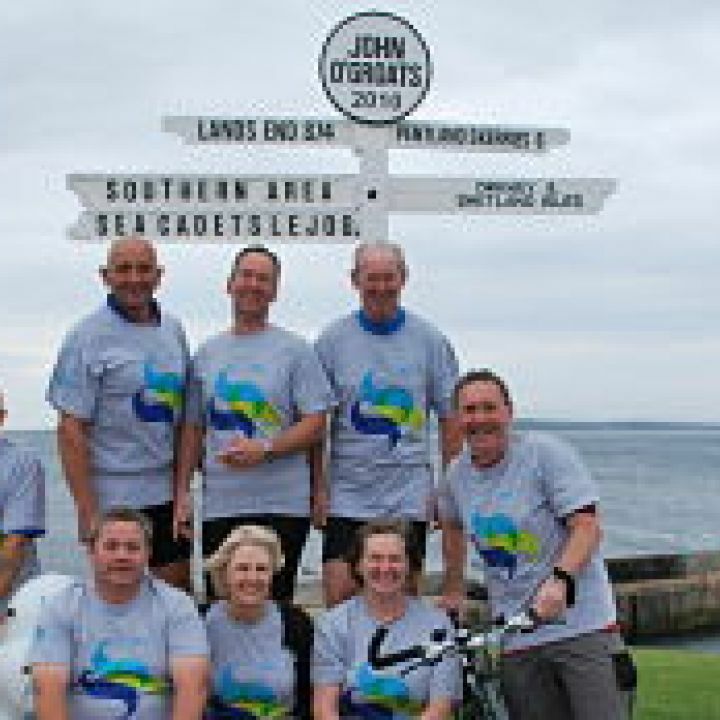 The Southern Area Lands End to John O’Groats cycling team triumphantly reached John O’Groats on Friday afternoon 6 August at 4.30pm having pedaled over 970 miles from Lands End. The abiding memory for the team will be the camaraderie, friendship and hospitality offered by the Sea Cadet Units along the route. From Penzance to Wick we were welcomed, hosted and looked after in a marvelous fashion by everyone. With just two punctures, one chain that came off and two minor falls the entire trip went extremely smoothly, and we were even blessed with a fortnight without any significant rain and very little wind. After a celebratory meal of Haggis, Neeps and Tatties prepared by Unit staff at Wick, they then had a 16 hour mini-bus drive back to the South Coast (thank you TS Alamein for the invaluable loan of your Unit mini-bus!). The team thanks everyone who has donated and encourage others to do so at; www.justgiving.com/SASeacadetsLEJOG All money raised will go to help more of our youngsters to experience life offshore or to take part in the excellent outward bound courses that we run in Snowdonia. We arrived safely in York and are staying at TS York tonight (Friday 30 July). As we approach the halfway point the team can bask in the glory of completing 400 miles of this epic cross country challenge! The Units we’ve visited along the way are outstanding and we were thrilled when cadets at TS Lightning, Doncaster donated £35 to the fund. Tomorrow there are team changes and we tackle the Cleveland Hills before arriving in Hartlepool. Wish us luck! The team left Bath on Tuesday morning and cycled 65 miles reaching Evesham by late afternoon and greeted with a warm welcome from the Unit hosts. The weather has been great and Captain Mark Windsor RN joined the team and two new riders from Portsmouth. The new team, fueled by an excellent breakfast at Evesham, made quick progress to Leamington Spa and Warwick, where the Captain then left to return to London. The rest of the team then cycled on to Leicester, a total of 65 miles for the day. 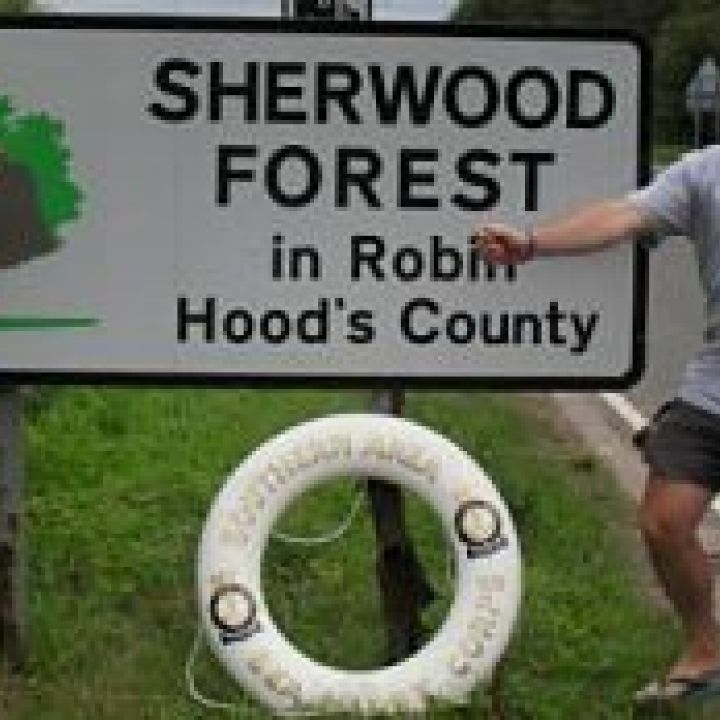 Thursday will see a ride of 70 miles from Leicester to Doncaster. Sponsor Sea Cadet cycle ride! Southern Area Sea Cadets are raising money to help disadvantaged cadets spend some time offshore on one of the Sea Cadets fleet of 7 vessels. While we keep costs to a minimum cadets still need to contribute and this can be tough for some. 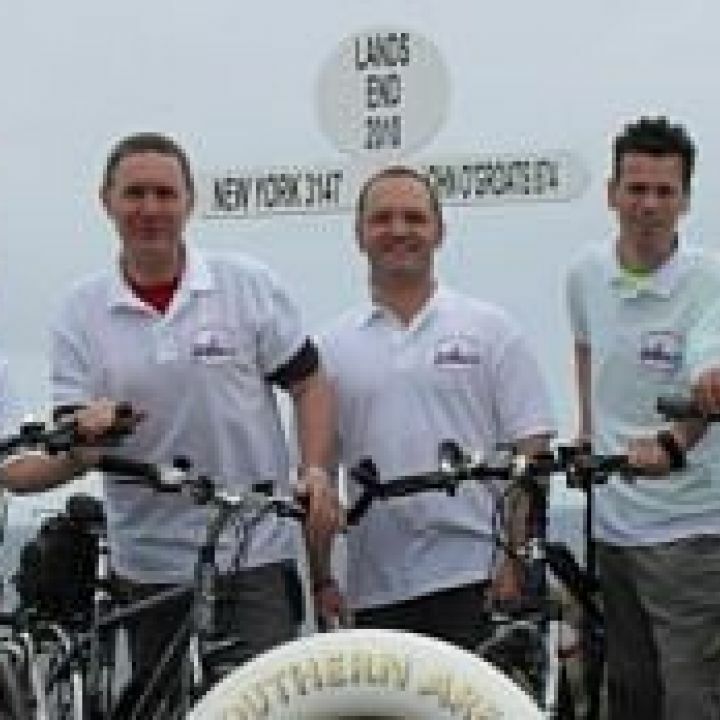 So Southern Area Sea Cadets are cycling Lands End to John O Groats to raise funds for them and staying at local Sea Cadet units across the country to help cut costs. LANDS END to ST AUSTELL : 53 miles; Everyone full of adrenaline and anticipation. ST AUSTELL to EXETER: 70 miles; The hills of Cornwall are very steep, but the hills of Devon are seriously steep. A hard day but the view from the top of Dartmoor was splendid. EXETER to BATH: 80 miles; After the previous day the Somerset levels were a delight and we motored through the 80 miles to Bath!